My tiny great-grandmother, Ada Shoemake, was a hoss. Her husband Johnny died young, and she remarried a man from the community. But she decided right away that she’d made a mistake and she didn’t live with him. I really don’t know if she ever got a divorce. She raised her kids by herself. She never had a haircut, wore a gingham-checked bonnet and a hand-sewn, button-front long-sleeved dress, and laced-up leather shoes. “Hand-sewn” means the whole dress was made with a needle and thread. She had one pattern. She kept her own garden and animals, and she slept with a shotgun beside her bed. She was born on August 18, 1891. August 18 has always been something of a seminal date for me. I can always count on August 18 for an extra dose of quirkiness during my birthday month, and it’s always been a good day to make a decision or start a project. I always notice that date when it comes up in a novel. The first book that comes to mind is The Bridges of Madison County. I don’t remember what happened on that date, but there was somethingm important. Every person I’ve ever known who was born on Granny Ada’s birthday has been a bit, well, wild. I must not name names. I did not choose the eighteenth day of my birthday month to plant one hundred fifty iris roots. The date chose me. Mom and I planned to make a jaunt to an orchard about an hour away to bring back Gala and Granny Smith apples. Dad took the fifty-foot line of bearded varieties out of the ground last week. I convinced him to leave the clumps just a foot from where they were planted so that we could keep the colors half-way straight. I thought my job was to divide the clumps and drop the new plantings where they were to be seated, something I could do a little at a time over the next three or four days. Dad divided them before I could get there. I sorted through the piles for the best roots and started dropping them. We reviewed the pattern of planting. “See how I’ve got these laid out in triangles?” I asked. “When I get this done, I’m going to put those red hot poker plants into that bed.” He nodded at a twelve by five-foot plowed and bordered spot where he’d had cosmos, zinnias, and marigolds this year. He planted the first six iris bulbs, which are technically not bulbs at all but rhizomes. Long, thin roots stuck up in the air, a couple were too deep in the ground, and some weren’t in the ground at all. “Good idea.” He sat on the bank edge of the bed and tried to get his big fingers into my scissors handles. “This won’t work. I’ve got to go get something I can cut with.” He ambled down to his garage and came back with some huge bolt cutters. “That ought to do it,” I said. He picked up one rhizome at a time and cut the blades back, letting the long leaves fall back into the bed. I kept poking irises into the ground and tamping them down with my spade. The ground was too well-tilled for me to scoot across it on the ground, so I stood and bent. When I mopped sweat from my eyes for about the tenth time, I excused myself to get a headband and a drink. I called Mom and told her we’d plan to go to the apple orchard after her orthopedist appointment Tuesday. She thought that was a good idea. I came back to the iris bed with a sweatband under my visor, a jug of iced tea with a straw, and a bandanna tucked into my left pocket. “Okay.” I took note of the delight in his voice. The aroma of that cooking mixture was divine, and Dave said so. They did, so Dave ran over to the apartment with a small casserole dish and more tortillas. My courage returned when I had eaten, so I headed back outside and finished the row. I packaged up the remaining tubors, more than I’d just planted, and numbered them as they’d been dug up. At least we’ll have some shot at identifying the color and name. There’s a guy two streets over who wants irises! I cleaned up the piles of trimmings, dumped it all, and gathered up tools. Everyone who knows my mother and knew Granny Ada says Ethel Shoemake Blair is just like her Granny Ada. The word they generally use is “feisty.” My great-niece, Everley Diane Drew, was born on August 18th. 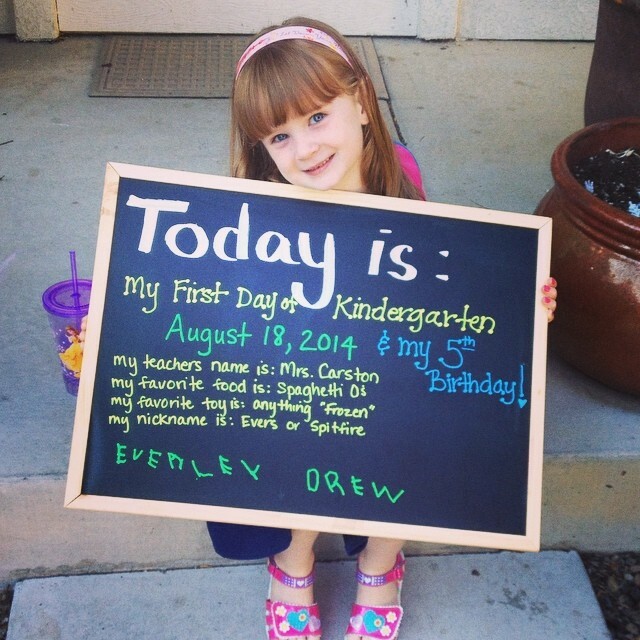 She turned five this year, the fiery little redhead, and she started kindergarten on her birthday. The people who might be inclined to include “feisty” in their vocabulary would say Everley is feisty. No one has ever said I’m like my great-Granny Ada, and when I finished that line of irises, I wasn’t feeling anything like feisty. But I knew I’d picked a good day to start–and finish–a project. And I was pretty sure I exhibited strong signs of hoss-dom, even if I could barely walk to the bathroom.